, with all the pomp and pageantry of the academic tradition at an official Inauguration Ceremony, which will be held in Marybelle and Sebastian P. Musco Center for the Arts on Friday, September 30 at 2:30 p.m. But the new leader will also be feted, during the week leading up to the ceremony, with a series of events that reflect his many and varied interests, from science to film and poetry. Many of the Inauguration Week events are free and open to the public. The Inauguration Ceremony itself is by invitation only, but it will be live-streamed on the Chapman website and Facebook page and to several venues on the campus. Details of all Inauguration Week events are below. ABOUT PRESIDENT DANIELE C. STRUPPA, PH.D.
president of Chapman University on September 1 (it is common practice to have an official inauguration some time later) when longtime President James L. Doti, Ph.D. stepped down after 25 years at the helm to return to the Chapman economics faculty. He has served at Chapman University – first as provost and then as chancellor – since 2006. He came to Chapman University from George Mason University, where he served in several academic leadership positions, closing his tenure there as dean of George Mason’s College of Arts and Sciences. Dr. Struppa was born in Milan, Italy and holds his doctorate in mathematics from the University of Maryland, College Park. In recognition of his work, he has been awarded the Bartolozzi Prize from the Italian Mathematical Union and the Matsumae Medal from the Matsumae International Foundation of Tokyo. He has authored more than 150 publications in refereed mathematical and science journals and books, and has edited or co-authored six books. ALL EVENTS ARE FREE (most are open to the public, except where otherwise noted). Sunday, September 25 at 7 p.m.
Odom is an award-winning actor, singer and dancer, with a long list of credits to his name — perhaps none more impressive than his Tony Award-winning role as Aaron Burr in the smash hit “Hamilton.” Mr. Odom will speak to a mostly student crowd about handling his success. This event is sold out. Media welcome to attend and cover the event (contact us for entry); Mr. Odom will not be meeting the press or giving interviews. Monday, September 26 at 6 p.m.
Lecture by Marjorie Perloff, Ph.D.
reflects on the autobiography of the Nobel prize-winning author Elias Canetti (1905-94), who wrote of how difficult it is for an exile writer to find his own tongue, a language in which he can be at home. Tuesday, September 27 at 3 p.m.
It’s a good old-fashioned Old Towne Ice Cream Social with all the toppings, hosted by the Old Towne Preservation Association. Best of all, everyone from the local Orange community is invited to enjoy the party as we welcome new Chapman President Daniele C. Struppa. FREE and open to public – no reservation required. Media welcome to attend and cover. Location: Bush Conference Center, Beckman Hall 404. Wednesday, September 28 – 8 a.m. to 4 p.m.
, Ph.D., physicist, author, professor at Arizona State University and Director of BEYOND: Center for Fundamental Concepts in Science; and many others. FREE and open to the public; online reservation and free ticket required for entry: available at www.chapman.edu/inauguration. Media welcome to attend and cover. Wednesday, September 28 at 4 p.m.
address will be of a general nature and does not require prior expertise. Wednesday, September 28 at 7:30 p.m.
, professor at Georgetown University and author of four books of poetry. They will explore ways in which consciousness illuminates their work – and how it influences our lives and perceptions of the world around us. artistic collaborations between Chapman faculty in music, dance, theatre and literature, centered on “L’Infinito” (“Infinity”), a magnificent poem by Giacomo Leopardi that is cherished by many Italians, and in a special way by President Struppa. Friday, September 30 at 10 a.m. 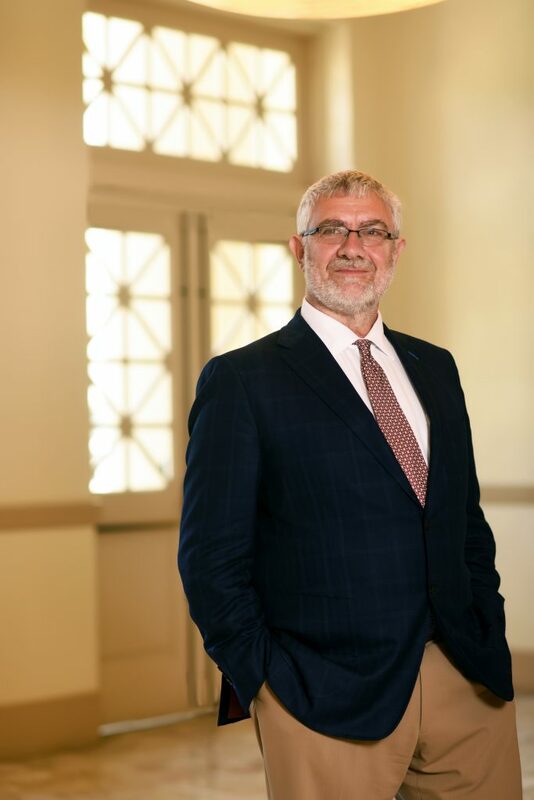 The Fish Interfaith Center invites you to join interfaith leaders from throughout the region for an innovative service of blessing upon Daniele C. Struppa, Ph.D., upon his Inauguration as the Thirteenth President of Chapman University. Continental breakfast served at 9 a.m., followed by the service at 10 a.m. Chapman University is a pioneering leader in interfaith relations on university campuses, and we celebrate interfaith partnerships while also following the tradition of holding a religious service to mark the presidency at its Inauguration. Friday, September 30 at 2:30 p.m.
of the office and responsibilities to the newly inaugurated Thirteenth President of Chapman University, Daniele C. Struppa. There will be a prosecco toast to the new president immediately following the ceremony. BY INVITATION ONLY. Media welcome to attend and cover. Ceremony will be live-streamed at www.chapman.edu/inauguration, on the Chapman University Facebook page (www.facebook.com/ChapmanUniversity) and at several venues on campus, including Folino Theater in Marion Knott Studios, Beckman Hall 404 and Memorial Hall.